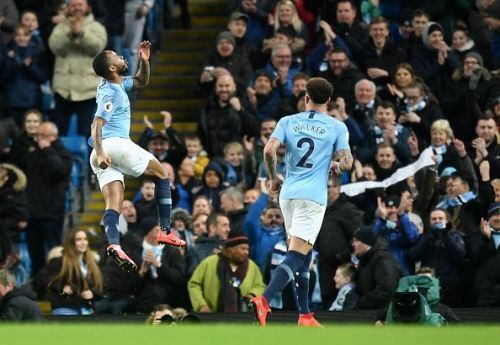 After dethroning Liverpool from the top of the Premier League with a 1-0 win over Bournemouth, Pep Guardiola’s Manchester City was looking to extend their lead as they hosted Watford at the Etihad Stadium. After getting thrashed by Liverpool at Anfield, Watford restored hopes of a Europa League qualification with a 2-1 win over Leicester City last week. Keeping in mind the champions league game against Schalke on Tuesday night, Pep Guardiola opted to rest some key players. Stones and Laporte were left out of the squad while Riyad Mahrez earned a place in the starting lineup. Fernandinho was also rested and Gundogan took his place. Andre Gray’s injury-time heroics against Leicester City earned him a place in the starting lineup as Watford manager Javi Garcia strengthened his midfield by playing Tom Cleverley while the young Nigerian Isaac Success was given a chance to showcase his skills. Veteran center back Adrian Mariappa was replaced by Miguel Britos while Adam Masina came in for Jose Holebas at left-back. The opening 15 minutes of the match lacked any intensity as Manchester City midfielders did not have the pace to stretch the Watford defense. Zinchenko created Manchester City’s first chance to score with a pinpoint cross that just eluded Aguero. City tried hard to penetrate Watford’s defense but could not score any goals in the first half of the game. After the break, a controversial offside call gave Manchester City the lead as Sterling scored the opener from a contentious position. City played with more confidence and within ten minutes, they scored three goals which finished the game effectively. Gerard Deulofeu who came as a substitute gave Watford fans some hope as he scored a consolation goal. In the end, City won the game 3-1 and went four points ahead of Liverpool in the title race. Here are three reasons why Manchester City won the game. 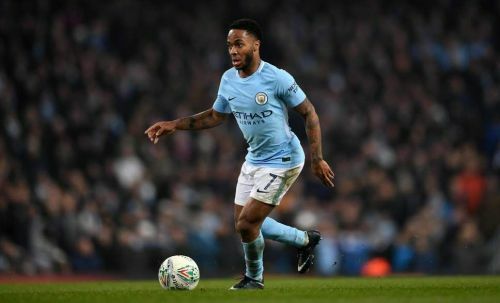 Raheem Sterling has arguably been Manchester City’s best player this season and he proved that against Watford. He showed his improved finishing skills by bagging a hat-trick and taking his goal tally this season to 18 in all competitions. He started the game on the left -wing and was lucky to score the first goal as the replays showed that he was in an offside position. The second goal was a simple opportunity as Riyad Mahrez’s cross found Sterling, who simply had to tap the ball in the net. His third, however, was a show of individual talent as he received David Silva’s defense penetrating pass inside the box and beat two Watford defenders easily to secure a three-goal lead for his team. Despite his hat-trick, the most eye-catching aspect of his performance was the ease with which he passed the ball and combined with the midfielders to create chances.